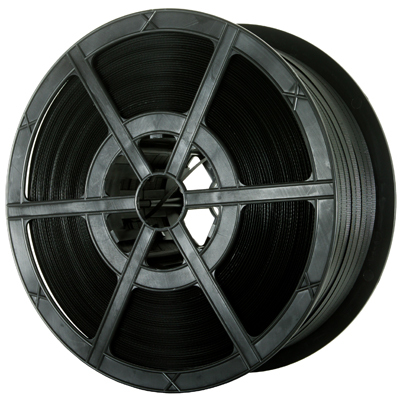 5 x strong 2000 metre coils of standard polypropylene 12mm hand strapping, with a 145kg brake strain. These are the BEST VALUE coils we distribute. Perfect for strapping most pallets, with a very high break strain power for pressure points. Can be used with tools (tensioner/sealer or combination tool) and metal seals, or without tools (by using metal buckles). The use of tools naturally increases the tension the on the strapping making it more effective, hence we would recommend purchasing these from our site if you do not already have them. For advice and guidance on strapping, please call our product specialists on 0845 224 3691.